PERFECTION both INSIDE and OUT! BREATHTAKING VIEWS of the 5th fairway and LAKE. GOURMET kitchen, VENTED GAS COOKTOP, SS appliances, striking granite countertops, off white cabinets & glass accent doors. Ownerâs suite on main boasting custom trey ceiling, renovated spa bath wt EXPANDED FRAMELESS SHOWER and detailed tile work. CUSTOM trim work framing doorways. DESIGNER secondary bathrms. 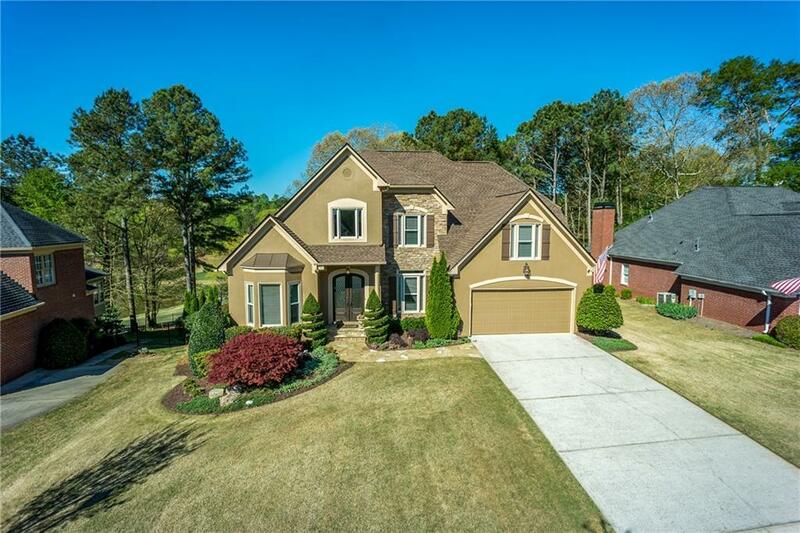 Vaulted family room with soaring stone fplc, inviting sunrm, finished terrace level wt bd, ba, billiards, wet bar & storage. Energy efficient windows, new deck, new siding, 2018 roof. Directions: 141 North, Turn Right Onto McGinnis Ferry Road. Turn Left Onto Old Atlanta Road. Turn Right Into Neighborhood Onto Olde Atlanta Parkway. Left Onto Sterling Drive. Home Is On The Left.